Behen Ki Shaadi! 12 Things That No One But *You* Can Do! A wedding is not just about the bride and groom. The sibling gang from both sides are an integral part of the wedding preparations too. The bride's sister, especially, has a lot of duties to fulfill. From being the bride's core support system to being a necessary part of a few of the wedding rituals, you have to be up and about, throughout. So is your sister getting married? Here is the ultimate checklist for the super-busy bride's sister to help you sail through the wedding in style. So the wedding's been fixed and you are privy to the big date as well. How do you ask the nearest and dearest to ‘save the date’ before the official invitations go out? By creating the much-needed Whatsapp group, of course. Everyone has this app on their phones so waste no time in creating the Wedding Group for your sister's big day. Any important communication can simply be placed there and word will go out. Saves a lot of talking , doesn't it? Without the bride's sister, a bachelorette for the bride would be incomplete. The sister is the bride's first and constant bestie. So obviously, without her the affair will simply not be as fun or naughty. Plan the bachelorette well in advance and make sure all her friends make it for that one grand farewell to singlehood. Your sister's wedding surely needs a Facebook page. What about an Instagram hashtag? She'd like funny Twitter updates too, maybe. Roll up your sleeves and put your manicured fingers to some top class social media slaying. Only you can make your sister's wedding look exactly as she wants it to on social media. 4. Co-ordinating the Vendors? Check. We all know that weddings are all about co-ordinating a host of things. They are also about vendors and bargaining and making sure everyone delivers in time. It's all very hectic and only the bride's sister possesses the superpowers to manage it all. Be it making sure that the marigolds in the mandap are exactly the right shade to supervising the caterer and the lightwale bhaiyas, without the bride's sister even the vendors would be at a loss. From the colour of the lehenga to all the accessories that go with it - all these must first pass through the bride's sister judgement for some hard-core feedback. To make it easier for the bride, help her first decide the kind of look she wants. You can research over the internet, flip through your favourite wedding mags or take a leaf or two out of a celebrity's wedding book. Throughout the wedding, your fashion advice will be actively sought and taken, so better do a little back up research. You have to be on constant standby during the mehendi and even during the actual wedding. Keep an emergency kit handy, complete with phone chargers, power banks, the bride's phone and a touch-up kit. If you won't think about it, who will? You will have to constantly accompany people for non-stop wedding shopping. Not just the bride but almost everyone will expect you to tag along. Most importantly, your sister might expect you to accompany her to some pre-wedding shopping with the in-laws. It's your duty as the sister of the bride to do so, the perks being some personal shopping sneaked in here and there and gorging on some yummy snacks post-spree. Make a list of all the dance numbers you'd like everyone to shake a leg on and herald all your cousins and dancers in the family. You may rehearse weeks in advance or you may try a more impromptu approach but there can be no successful sangeet without you. That's right. Not only is the bride's sister important to the bride she is indispensable to her in-laws as well, especially during the wedding. One of the principal things in her checklist is taking care of the ladkewale once they arrive. Be it passing vital communication between the two parties to taking care of their immediate needs, it's the bride's sister who'll be in charge, y'all. But, of course! Just because the bride's sister is in charge of the well-being of the groom's family does not mean she is not also devising some cunning master plan to steal the groom's shoes. This tops the checklist for many a bride's sister. She is the gang leader for the entire heist and if you are a future groom, know, that the sister-in-law who will dutifully take care of your comfort throughout the wedding will also, most certainly, rob you of your wedding shoes. All the hard work the bride's sister has done or will do for the wedding culminates in the proud moment when she escorts the bride to the mandap. It's not just the sister's default duty, it's the glorious moment she has looked forward to ever since the date was fixed. Definitely tops the checklist. Sure the sister's wedding is your labour of love but don't forget yourself. Remember, weddings are all about fun and celebration, and being drowned in duty can keep you from enjoying the moment. 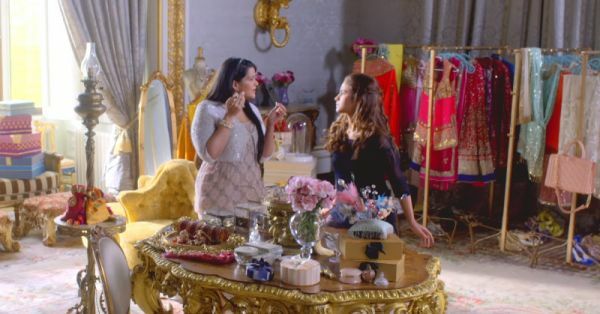 As the bride's sister, don't forget your own shopping, makeup, mehendi, salon visits, accessories and so on. You must look your best too. After all, sisters don't get married everyday. GIFs: Giphy, Tumblr HAVE A STORY IDEA FOR POPxo? If you want to hear about it, we can write about it! Just tell us your idea here! MUST-READ: The ONLY Checklist You Need For Your Sister’s Wedding! MUST-READ: 12 Things We Bet You’ll Hear At Your Sister’s Wedding!